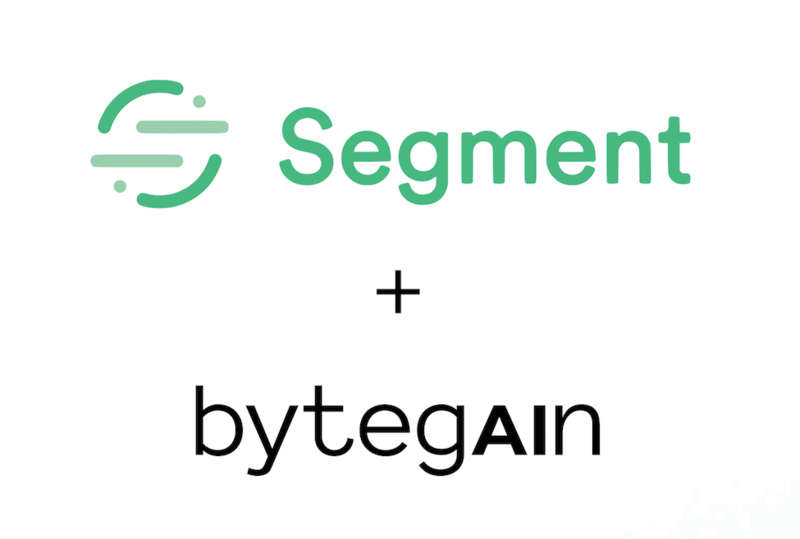 Segment + ByteGain AI Marketing Integration is here. Segment is a single platform that collects, stores, and routes your user data to hundreds of tools at the flick of a switch. It takes care of the messy analytics installation process for you, so you can spend more time using your data and less time tracking it down. Every interaction made on your website is recorded on Segment and automated by ByteGain. If someone views a page, clicks an image or enters their info, ByteGain + Segment process the user behavior automatically. The most effective marketing action is then taken by ByteGain's AI. Our team of developers have just released the integration for Segment. As of today, you can integrate your website, app or e-commerce store with your ByteGain account. Unlock a wealth of extra features like advanced segmentation, automatic retargeting and personalization. Automation: Track and take action on the most engaged users. Provide extra help to the most confused visitors. Map any customer journey to a ByteGain automation! Advanced Segmentation: Find the customers who will be your top converters in the future. Combine AI insights with ads segmentation to nudge users further down your conversion funnel. Change the future. Personalization: Include cart data inside your emails: upgrade everything from product recommendations to abandoned cart automations. Your website experience will never feel generic again. What happens when SMEs can't afford a team of developers? They use Segment. Segment bridges the gap between a business and different types of software, without developing requirements. Similarly, what happens when SMEs can't afford data scientists? They use ByteGain. Effortless and seamless integration is now a matter of minutes. Simply sign in to Segment, find ByteGain AI marketing software integration and sync your website. Through ByteGain + Segment, you will be able to use all of your customer data and automatically feed it to an AI model. And thanks to the ByteGain + Segment integration, all customer data will flow in real time over to your account. Change your future. Get started right away or find out more information here!